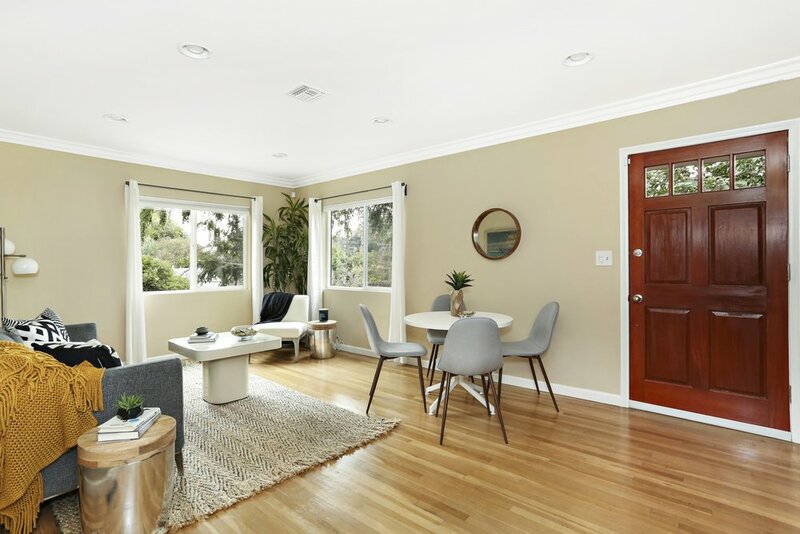 Nestled in a quaint pocket of Eagle Rock sits this beautiful, well-loved home. Tranquility sets in as the light from the front windows wash over the living room with calming rays of sun. The large open room is a perfect blend of entertaining and casual dining. The updated kitchen, with breakfast bar, flows seamlessly from the living room to the back den. Cozy up with your favorite book and gaze out the large windows that perfectly frame the beautifully landscaped backyard. Outside is a sanctuary of nature: large pine trees providing ample shade, mature hibiscus trees, a wide-array of desert succulents, and a small grass knoll to roll around. The backyard is private yet spacious and provides many nooks to entertain. Both bedrooms are large, quiet and have plenty of closet space. The location is ideal, mere minutes to all of the action on York, Figueroa, and Colorado. This is NELA living at its best.